Spring is all about blooming flowers and sunny colours. To make your home décor pop, here is a step by step to create these beautiful paper flowers to adorn your walls or table with! 1. 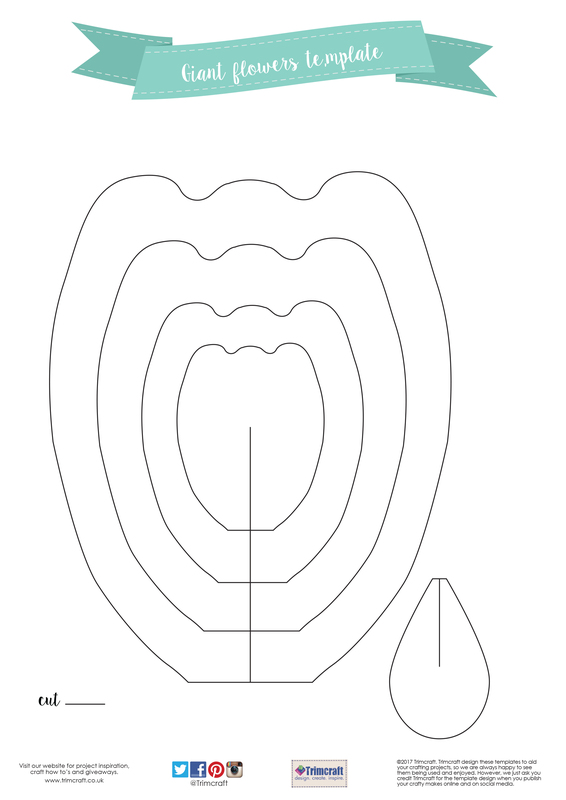 Download and print your flower template. 2. Draw around the largest petal, six times on to your chosen First Edition Paradise Crush papers. 3. 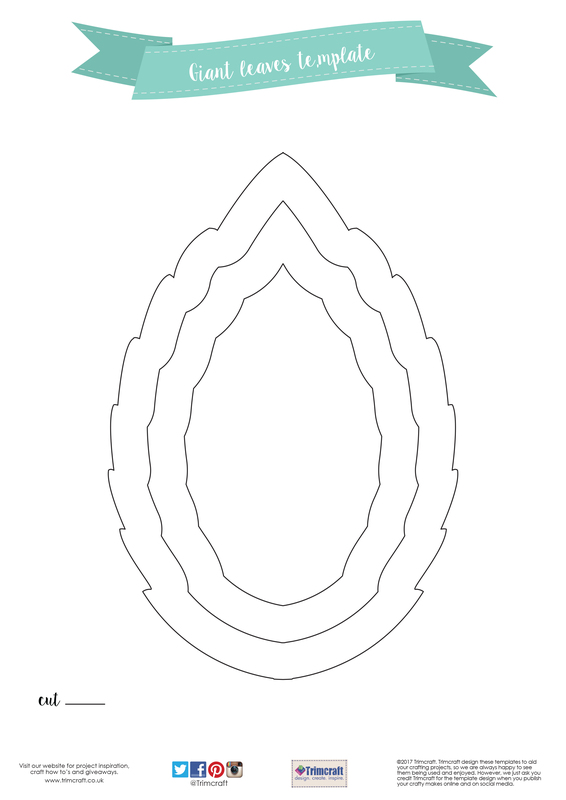 Pick a smaller petal shape from your free template and cut out 4 of this size. 4. Following the vertical line on your template, cut a straight line at the bottom of each petal. 5. Curl the petals by carefully rolling them up. 6. Next, overlap the two ends at the bottom of your petal and staple to create shape and dimension. 7. Cut out three further sizes, four times and repeat as above. 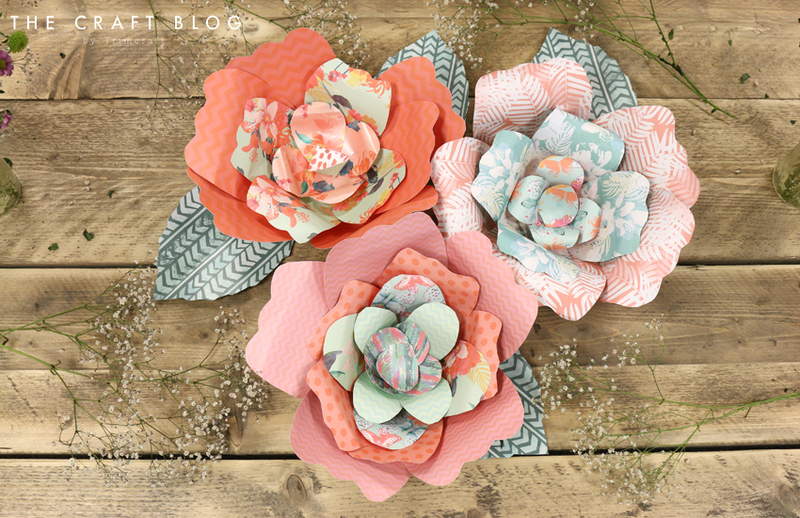 TIP: The template is a guide, the petals do not need to be cut out perfectly. 8. Next, roughly cut out a circle from your chosen Paradise Crush paper. Begin adhering the largest flowers around the edge of the circle with glue. 9. As you continue to add your petals, ensure to overlap them to create a fuller and textured look. 10. Once you have done this, glue the smaller petals inside the large flower, making sure they’re secure. 11. Keep layering your petals to the base, ensuring that the petals go from large to small. Using contrasting papers will make each layer really stand out! 12. Next, cut the small petal shape on the bottom right hand side of your template. Cut out from your chosen Paradise Crush paper design and as before, cut the vertical line, overlap the ends and staple. 13. This will now be the centre of your flower. Glue this to the middle of your last layer of petals. 14. Print the leaves template and draw around your chosen shape, twice, on to a green patterned sheet within the Paradise Crush paper pad. 15. Adhere with Dovecraft Perma Fix tape to the bottom of your flower. Now you have a beautiful flower project ready to adorn your home with! This make is perfect for brightening up a plain wall in your house. You could make a collection of flowers to sit together to really make a statement. Don't forget to upload your flower projects to the inspiration area and to #trimcraft when sharing on social media!